Rate Is Per Pound Of Actual Weight. The Save Box is the latest innovation by Blue Sky Shipping to further lower costs for you. The Save Box allows you to drastically reduce your shipping cost by transporting your orders via sea rather than air freight. 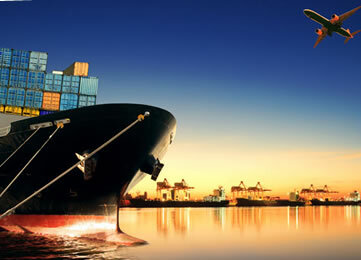 The sea freight is fully exempt from the 7% online tax. Another huge benefit of using Save Box is that you pay zero fuel surcharge fees. There is no minimum or maximum amount of packages or weight. However, if the item(s) total weight is more than 100 pounds, there will be additional delivery charges based on the volume imported. The maximum consolidation time for one shipment is two weeks. This means, if the first package of your consolidation reaches on a particular day, you have 14 days for the final package to arrive to be a part of the consolidated shipment. Any packages arriving after 14 days will not be part of the consolidated shipment. It takes approximately 2 weeks to be delivered to your door. It takes one week to ship from Miami to Trinidad. Another week to unpack the container, clear with customs and deliver. There is a Documentation and Customs Brokerage fee of $3.90US per invoice. There are no fees at all when requesting consolidation.